Fireflies have long inspired wonder. Their flashbulbs of light blink in warm backyards as long summer days turn to night. But their presence is fleeting: as the summer comes to an end, so too does the population of fireflies. That poses a challenge for researchers like Amanda Larracuente. In 2016, Larracuente joined with a group of biochemists, ecologists, and evolutionary biologists from multiple universities to enter the Big Dipper firefly into a contest for “the most interesting genome.” The competition, sponsored by the San Francisco-based company Pacific Biosciences, asked entrants to present a grant proposal explaining why the species they selected should have its genome sequenced. PacBio has developed a gene sequencing technology called single-molecule, real-time sequencing, or SMRT. As it turned out, Photinus pyralis came in second place to Sedum alfredii Hance, a perennial, metal-devouring herb native to China. Pleased by the positive response, and undeterred by the narrow loss, Larracuente and her colleagues set up a crowdfund for the remainder of their project, and surpassed their goal of raising $10,000. The Photinus pyralis genome will be the topic of a paper they hope to publish this fall. Fireflies are members of the beetle family and are found across the globe. They have many unique traits that make them a “most interesting” contender. Until now, however, no one had successfully sequenced the firefly genome. The genome is difficult to map because it’s full of repetitive DNA sequences that don’t seem to have an obvious purpose; they don’t code for any proteins and enzymes. When Larracuente and her team sequence genomes, they extract DNA, fragment the DNA, sequence these fragments, and then use computational algorithms to assemble the fragments into a genome sequence. If the fragments contain DNA sequences that are repeated, it’s difficult to figure out where they should place the DNA in the genome. In sequencing the Photinus pyralis genome, the team used PacBio’s SMRT technology. This technology allowed them to sequence longer fragments of DNA and more easily put the genome together in light of the repetitive sequences. The abundance of repetitive DNA in genomes differs between species. Larracuente notes there are several possible explanations for these differences: some repeats accumulate randomly and some are “selfish genetic elements” that make extra copies of themselves so they will be more likely to be passed on to future generations. 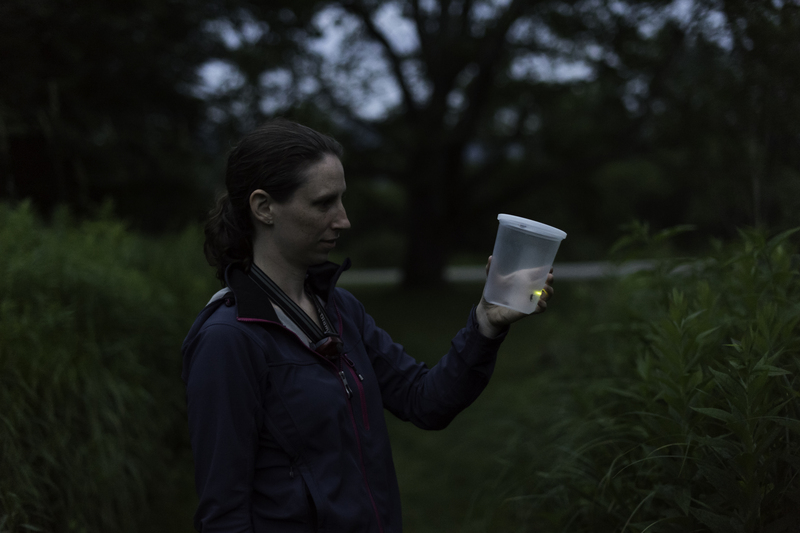 The researchers are also looking into the enzymes responsible for firefly bioluminescence. 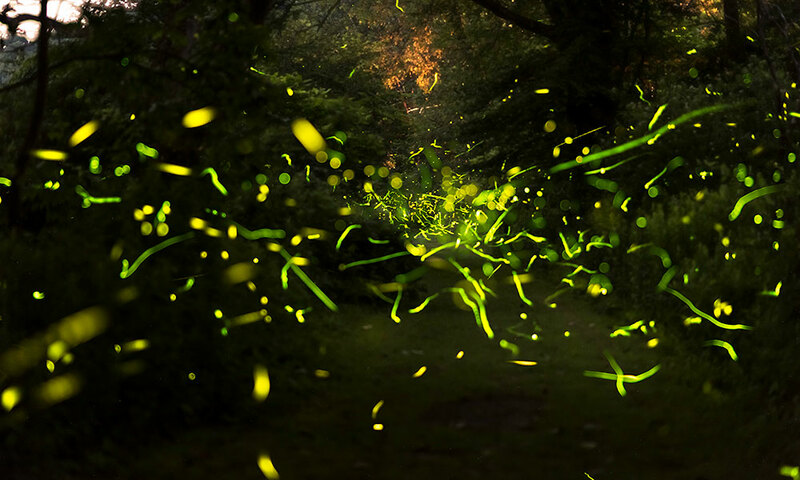 By mapping the firefly genome, the researchers gained more insight into the genes involved in the chemical reaction that produces the characteristic flashes of light that fireflies use to communicate, ward off predators, and find mates. Understanding bioluminescence has potential biomedical applications for humans in areas such as noninvasively imaging the progression of cancer in the body. Beyond any potential application, understanding bioluminescence should have wide appeal. Ellen Martinson, a postdoctoral researcher at Rochester, traveled this summer with a group of biology postdocs and graduate students to Allegheny, Pennsylvania. 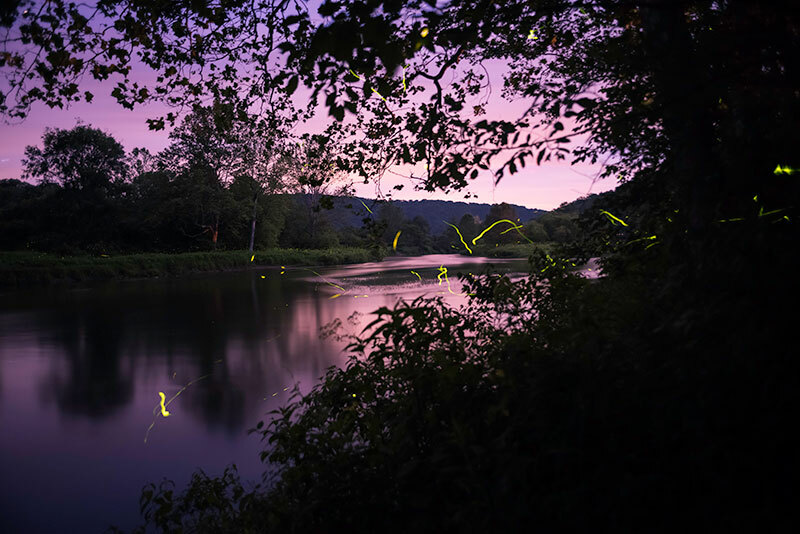 Since 2012, Allegheny has hosted a Firefly Festival to coincide with a natural phenomenon in which members of a certain species of firefly—one only found in the Alleghany National Forest and the Great Smokey Mountains—blink in synchrony. 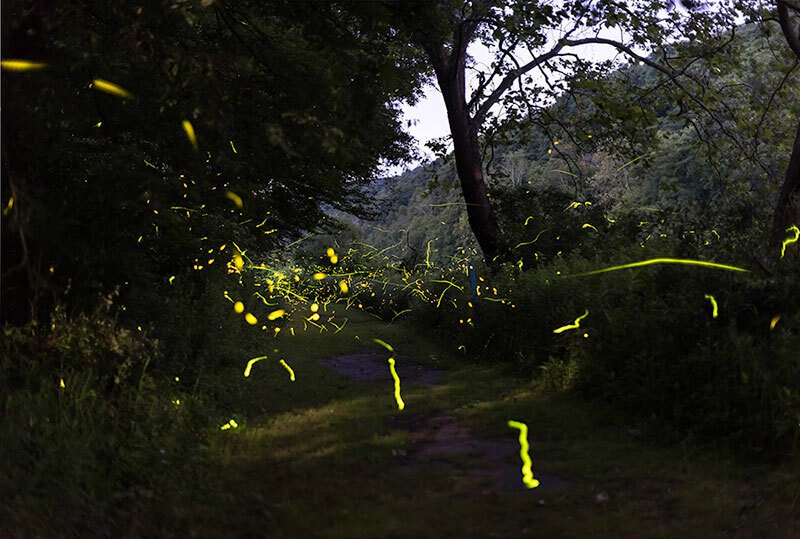 Photinus carolinus, the synchronous firefly, has six fast flashes followed by nine to twelve seconds of darkness.